Nowhere in the world are the elements so close to touch as in Iceland. Travel to the high latitudes with Magnetic North to experience a full-on rejuvenation of body and soul. From the healing waters of three spa experiences to the fire and ice of its volcanic landscapes, this short break brings you up close to one of the North’s great destinations. Available year round. Between September and April, it is possible to combine this short break with Northern Lights excursions. Welcome to Iceland. Transfer to your hotel by shuttle bus, the Icelandair Hotel Natura, Reykjavik’s top spa hotel located just outside of the city. Alternative hotels are also available for this trip. Just get in touch with us for prices and availability. 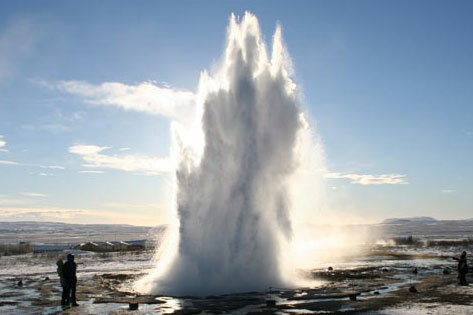 Today you’ll combine Iceland’s famous Golden Circle tour with a visit to Laugar Fontana Spa. Visit the majestic Gullfoss waterfall as well as the famous Geysir hot spring area, where the geyser Strokkur gushes skyward at regular intervals up to 25 metres. In Laugarvatn you’ll stop at a small country gallery where you can have a taste of local Icelandic produce such as homemade rye bread and smoked trout. Afterwards you’ll arrive at Fontana Steam Bath for your next pampering session and arguably the highlight of your wellness retreat. Indulge in the aquatic heaven of the spa, which comprises of three steam rooms built over a natural hot spring along with a Finnish style sauna, outdoor mineral baths and a series of hot tubs with views. Stroll onto the spa's black sandy beach and enjoy a bracing dip in the lake which offers soothing relief for muscular complaints. After a session at Fontana, you will be fully revitalised and ready to continue to Thingvellir National Park, a UNESCO World Heritage Site famous for its geological phenomena and rich history. You’ll return to Reykjavik in the evening. Today you will enjoy the famous Blue Lagoon. The Lagoon is a unique wonder of nature; pleasantly warm mineral-rich geothermal water set in the midst of a black lava field. A visit to the Blue Lagoon is both invigorating and exciting whether one bathes surrounded by snow in winter or during the long summer daylight. You'll return to Reykjavik in the afternoon with the rest of the day at leisure. 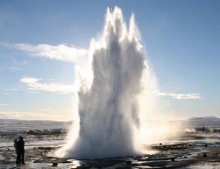 Transfer and return to the airport or extend your stay in Iceland with additional pampering opportunities and excursions. Just contact us for more details. From £745 per person (excluding flights), based on two travelling. The package can be tailored to your requirements. Optional excursions including Northern Lights tours (between September and April). We can customise your holiday with your choice of activities which include: Northern Lights Jeep Tour, Northern Lights hunt by boat and more. Amazing trip, and an amazing company. Originally arranged to see the Northern lights however due to storm in the Atlantic this was not possible,,we had booked other excursions for the days that we were there and these were brilliant The tour guides the transportation the ease of getting around all made for a great trip. I highly recommend this company magnetic North have been every think you could've expected from a travel company, they provided clear precise instructions for travel and on arrival at the hotel.Iceland is a great country with plenty to see and do. Highly recomend a once in a life time trip. by Craig howarth, London on Feb 10 .